As we have experienced, the large law publishers have certainly devoted time and resources to developing legal apps. But, the big question for us law librarians is do attorneys actually download these apps? Using statistics available via the website App Annie, we can find the categorical rankings of apps, including those designed specifically for attorneys and the practice of law. What do the trends in these statistics tell us about the adoption of large publishers’ legal apps? 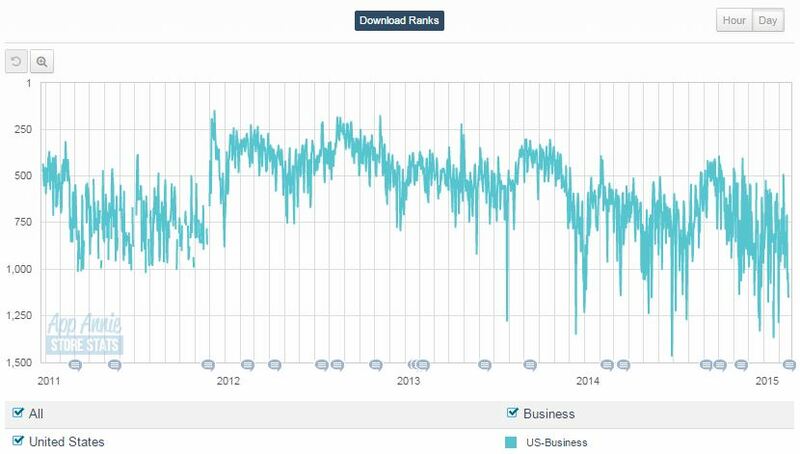 App Annie is a site that offers App Store statistics. 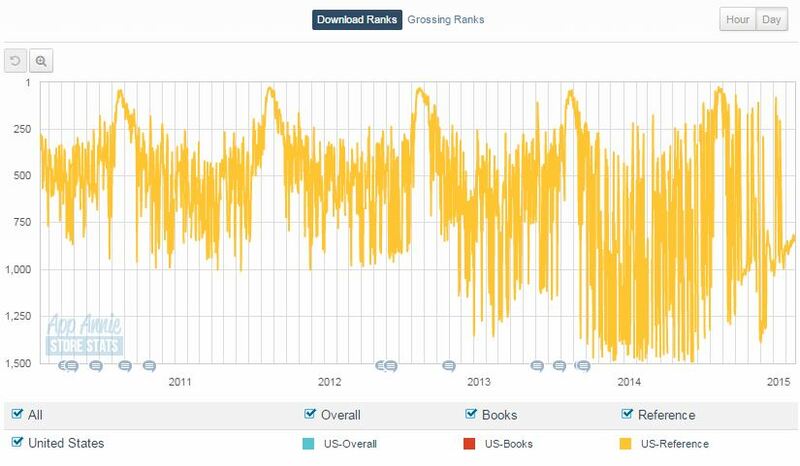 On App Annie, category rankings charts about apps are available for free to users who register with the site. On a side note, the site has more robust usage analytics that quantify how often an app is actually used (rather than downloaded), however a paid subscription is required to access this information. Lastly, App Annie is worth paying attention to as Sarah Perez of techcrunch recently reported the service recently raised $55 million from investors. To step back and explain a little methodology: first, I examined just the Apple App store rankings. The information for Google Play, Amazon, and other stores is available on App Annie, but I had to draw the digital line somewhere, and chose to focus specifically on Apple due to its reported more than $10 billion revenue in 2014, which still outduels the lofty revenue numbers reached by Google Play this year (though this is predicted to change by 2018). And, more detail: the Apple App store categorizes the numerous apps it has—Candy Crush Saga, for example, is in the “Games” category. Importantly, for our purposes, App Annie provides the historical Apple App store categorical rankings of apps–for example, a user can find how often Candy Crush Saga was ranked in the top 5 of the “Games” category. The categorical rankings of these apps are determined by an internal Apple algorithm, though some enterprising bloggers have tried to crack or game the code. We can presume the store ranks apps higher that have high levels of current downloads–there appears to be an emphasis not only on downloads but on currency as well. So, how do the statistics for the big publishers’ legal apps look? Lexis Advance is categorized under the “Business” category, so unfortunately, we cannot do a categorical head-to-head against WestlawNext. Lexis Advance’s peak ranking is at #151 on December 11, 2011, and it, too, is showing a slight downward trend. Lexis Advance also shows cyclical peaks around August and February/March. First, let’s discuss the slight downward trends for both WestlawNext and Lexis Advance. Both Thomson Reuters and LexisNexis were early adopters and developers of these apps: the App Store first opened for business on July 10, 2008, the WestlawNext app was launched July 12, 2010, and the Lexis Advance app was launched Dec. 23, 2010. Both apps ranked relatively high in their respective categories before experiencing a more recent downward trend. So, does the downward trend actually signify waning interest or some other macro variable? 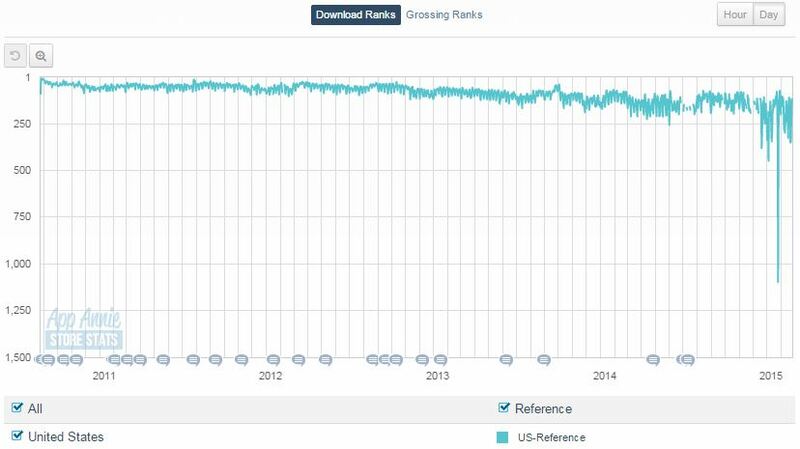 One variable to consider is the App Store is much more saturated with competing apps; as of July 2014, there were 1.2 million apps in the App Store, in July of 2010, a date near both the release dates of WestlawNext and Lexis Advance apps, there were 200,000 apps in the store. There could be waning interest, but there are also 6x the competitors in the marketplace now, as well. Coming soon, we will examine the legal apps developed by other companies. This entry was posted in Uncategorized and tagged App Annie, Apple App Store, Law Apps, Legal Apps, Lexis Advance, LexisNexis, Thomson Reuters, WestlawNext. Bookmark the permalink.